We are the leading importers, exporters, manufacturers and traders of Autopsy Requisites in the industry. These products are procured from some of the certified vendors of the market. Moreover, these products are widely known for their efficient performance, easy operations and low maintenance. In our range, we offer Oscillating Autopsy Saw, Post Mortem Instrument, Body Bags, Autopsy Saw, Embalming Machines and others. For measurement of Bone length of large bones like TIBIA & FEMUR. Measurement upto a length of 2 ft. Updated design features laser etched scale eliminating any chance of corrosion. The Field Osteometric board features the same measurement method as the Laboratory Osteometric Board minus the rod and bearing assembly but is collapsible to 12" x 6.5" x 1 1/2". Utilizes a "Channel on Board" linear motion mechanism which provides ease of motion approaching the Laboratory version. Folding design requires more operator adjustment before measurement but retains the accuracy of the Laboratory model of 1/2mm via two laser etched scales on main body. Constructed entirely of aluminum and stainless steel, the Field Osteometric Board is impervious to the elements and changes in altitude or humidity as well as plenty of "wear and tear". The base is constructed of 2 3/8" thick machined aluminum plates which are connected using a stainless steel continuous hinge bolted with stainless steel screws for maximum durability. Weight when packed in carrying case = 12 Pounds. coimbatore,Andhra Pradesh,Arunachal Pradesh,Assam,Bihar,Chhattisgarh,Goa,Gujarat,Haryana,Himachal Pradesh,Jammu and Kashmir, Jharkhand, Karnataka, Kerala, Maharashtra, Manipur, Meghalaya, Mizoram,Nagaland,Odisha,Punjab,Rajasthan,Tamil Nadu,Telangana,Tripura,Uttar Pradesh, Uttarakhand,West Bengal,Andaman and Nicobar Islands,Chandigarh,Dadar and Nagar Haveli,Daman and Diu,Delhi,Lakshadweep, and Pondicherry. Very useful in maintaining your Post – Mortem Instruments. Presence of SILICON does not allow rust to form & maintains shine. Ensures smooth operation of instrument & longevity. 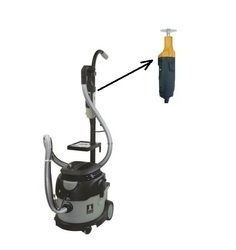 Prevent inhalation of bone fragments while performing autopsies with this vacuum that attaches to your Mopec saw. Strong motor with atleast 13,000 RPM. Power 230 volts 50 Hz AC. High speed oscillation 12000-21000 OPM. Speed control facility to adjust the speed of the saw blade. Included with set of 2 blades. Hand piece with safety flange permitting firm grip and stays cool during operation. Set of screw wrench for exchange of saw blades. Motor is provided with long service cord with plug. Motor and hand piece is integrated. Suction Performance : 1.380 Watts. Air flow rate : 57 I/min. Main Supply : 230 Volt, 50 Hz. Container Volume : 35 Liter. Noise Level : 63 dB. We are instrumental in offering our esteemed patrons a wide array of Oscillating Autopsy Saw (Imported German), which comprises of exchangeable saw blades, mounted ball bearing, well ventilated motor for AC 230 volt with switch housed in a shock-proof, insulated casing. These offered products are fabricated using light metals and gears that are permanently lubricated. 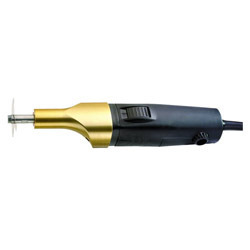 These saw are equipped with electrical connection cord fitted with plug of length 5 m. A speed controller facilitates exact setting so that the rotations of the saw blade can be adjusted according to the requirements. Looking for Autopsy Requisites ?